Got a few ripe bananas laying around? 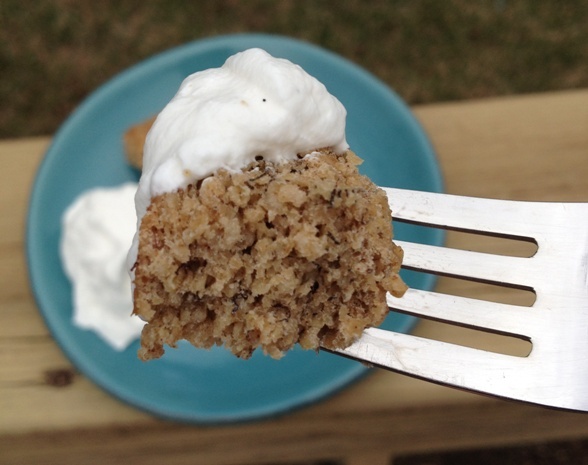 You can make this quick easy cake! Are the oats you have on hand gluten free? Great! Then your cake will be, too. This cake is the result of a joking request from one of my oldest friends in the universe. Her sweet little baby girl will be a year old soon and she is on the hunt for a gluten free cake that is low sugar. I gotta be honest, low sugar is not my thing. The more sugar (& often time butter) the better. I do love a good tooth achingly sweet treat. And I have very little experience baking gluten free treats since I personally do not have an intolerance and most people I bake for don’t either. That’s not to say I don’t ever bake gluten free but it’s not generally by design. More like a delicious coincidence. Almond cake, meringues, flourless chocolate cake, macarons. Yes, please! My baking pantry is full of oats, however. Many different kinds. I love baking with oats and I really love a good bowl of steel cut oats for breakfast. Preferably with a ripe banana and a spoonful of almond butter thrown on top. You do have to be careful with your oat selection if you are steering clear of gluten. Not all oats can claim to be gluten free depending upon the plant they are processed in. Read your labels. There are several gluten free varieties including Bob’s Red Mill. 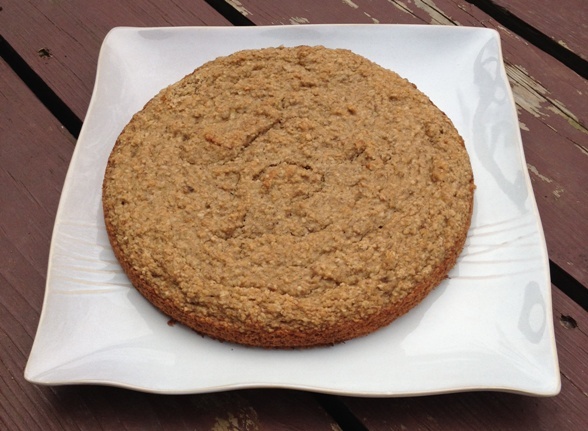 The only thing “complicated” about this cake is that you have to grind up the oats. I threw them in a food processor and gave a whirl until they resembled an oat flour. You’ll start by grinding about 3 cups of oatmeal. You’ll end up with a bit over 2 cups of ground oats. This cake only calls for 2 cups. Save anything extra for a later use. To top the cake you’ll whip up some cream with a little vanilla and a hint of sugar. It’s so decadent I don’t even mind that it’s not crazy sweet. We enjoyed this as dessert and the next day I had it for breakfast! Banana? Oats? Breakfast it is! Happy 1st Birthday, S! Preheat the oven to 350 degrees. Grease a 9″ spring form pan. In a large mixing bowl beat together the banana, coconut oil, brown sugar & vanilla. Add the dry ingredients to the wet ingredients. Mix until everything comes together to form a thick batter. Spoon into the prepared pan and spread out batter so it’s even. Bake for 25 minutes. Remove from oven and allow to cool. Pop the cake out of the pan and place on a serving plate. Pour the whipping cream in a large mixing bowl. With an electric hand mixer, beat until the cream starts to get frothy and light. Add the vanilla and the powdered sugar 1 Tbsp at a time to desired sweetness. Continue beating until peaks form. 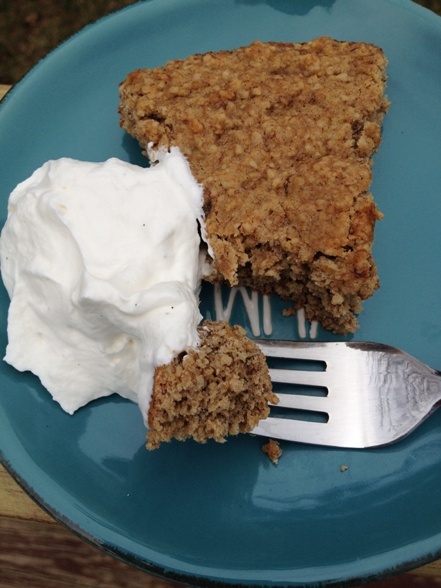 Serve a dollop of whipped cream on/beside each slice of cake. 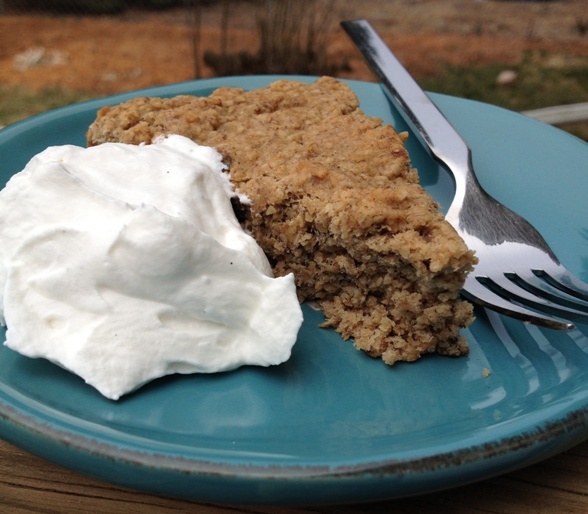 Posted in Sweet and tagged banana, cinnamon, Coconut oil, Gluten Free, Gluten Free Banana Cake, oatmeal, Whipped cream. Bookmark the permalink.